What a perfect puzzle for a kid's name. There are 20 pieces in our personalized zoo puzzle. They are packaged in a reusable cardboard box with gloss label. Assembled puzzle size is 8" x 10". Please allow 1 week for shipment. Puzzle just as expected and ordering was easy and was delivered on day that was given. Just a great all around ordering experience . 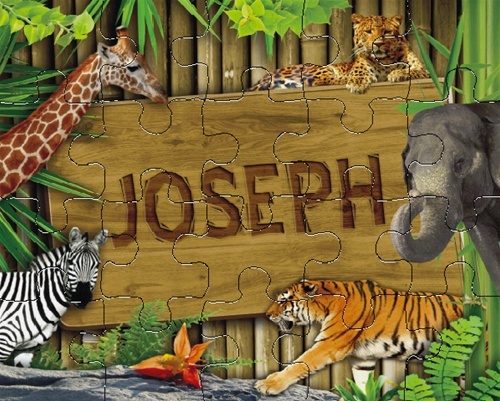 The zoo puzzle totally met my expectations and when she gets older we can do it together!